Something beyond Monster Hunter 4? Nintendo and Capcom announced at a recent event that they are planning to do something special in honour of their joint effort on Monster Hunter 4. 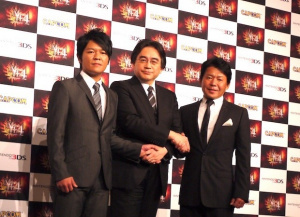 Whether this collaboration is related to Monster Hunter 4 itself or something entirely new is not yet known. Further details on this mystery endeavour will be revealed in a "Direct" fashion at some point before Monster Hunter 4 releases in Japan on 14th September. Given the timing of the announcement, it's very likely that it's linked to the Monster Hunter franchise in some way, although we'd happily welcome a collaborative project involving one of Nintendo's IPs. What do you think this new collaboration between Nintendo and Capcom will entail? Share your thoughts with us in the comments section below. A new Mega Man? Nah, I shouldn't get my hopes up. Monster Hunter 4 releasing in the west would be awesome though! its Nintendo X Capcom... cmon we know its gonna happen...right? Oh man, if they made an EXCLUSIVE MEGA MAN GAME capcom will be my favorite third party publisher. Is the best they can do after nintendo put mega man in smash bros. Anything involving the true Mega Man in an actual game (besides Smash Bros. of course) is fine by me. I'd say Nintendo vs. Capcom, but probably not. The only good thing about a possible collaboration like this would be that Nintendo would definitely hold up their end of it, so we'd at least wind up with something after all the hype has come and gone — whether it be the original collaboration they worked on or whatever Nintendo comes up with to finish up their own hard work. To bad it is probably going to be something MH4 related. Would love to see something Mega Man related. I'm cool with whatever they hit me with. Breath of Fire Wii U! @ShadowFox254 YES. I hope they have babies. @Ryno That would be Totally Rad... I'm sorry. Had some good times with that game. I'm surprised anyway else is even aware of it's existence. (Totally Rad that is.) A Breath of Fire for the Wii U would be a must buy for me. I have a slight feeling that Mega Man is on the table for a Nintendo release.. it feels like SSB is hinting towards that. The fact that Nintendo and Capcom have been so buddy buddy makes it feel like even more of a possibility. It just feels right and it would bring a lot of attention to both companies..
Haha, I could go for Nintendo vs. Capcom for sure! @Sjoerd Samus and Megaman should have babies? Monster Hunter Freedom Unite HD for Wii U and 3DS with online. Thanks. It better be that Nintendo exclusive Mega Man game I was dreaming about the other day! MH4 for the US by holidays! Perhaps we'll be able to use Link's Sword in battle, or perhaps use Samus' blaster. Or... perhaps we'll finally get PokeMonster Hunter! I have an idea what if they made a new Megaman game using his new HD smash bros graphics & on the gamepad the original NES 8-Bit graphics can be played offscreen. @Spuratis: Haha... Totally Rad is not the greatest NES game ever but it totally represents the awesome 80's that I love so much! Always cool to find other people a live back in the amazing period of time. This better not be Mega Man statue wearing a Mario hat or something and slap a $99 price tag on it. It has to be an exclusive Mega Man game after the Smash Bros. reveal. Mega Man's popularity will skyrocket with the new Smash game. Both would be smart to take advantage of it. Much like Sega and Sonic Lost World, my vote is for a Nintendo exclusive Mega Man game/series that Nintendo has a hand in developing/publishing. Great nostalgic games are going to become a major selling point for the Wii U and having beloved franchises like Sonic, Mega Man, Donkey Kong and Mario will go a long way for the system. A lineup like that would easily cement the Wii U as every gamer's second system of choice. Just look at the Smash Bros. reveal at E3, everyone freaked out about Mega Man's inclusion. Combine this with the fact that Mega Man has always been most successful on Nintendo consoles and his largest fanbase are gonna be Nintendo fans. Hell, Nintendo could probably pay Capcom to make the character exclusive to their consoles and then hire Keiji Inafune's company to develop the games and oversee their development. I'm not getting my hopes too high but this scenario makes a LOT of sense from a business standpoint and fans would have a nerdgasm at the announcement. I'm going out on a limb hear and the chances of this happening are pretty slim. Anyways, we haven't heard about the third exclusive Sonic the Hedgehog game from Nintendo right? Suppose this collaboration is for a new Mega Man game exclusive for the Wii U or 3DS. So it could possibly be Sonic X Mega Man X Mario. Nintendo would be the perfect fit for the likes of Mega Man. It would seem fitting, considering MM himself has finally made his grand debut in the next Smash Bros. It probably just means Nintendo costumes in the Wii U version of Monster Hunter Frontier G. Hopefully there will be more than that. Project X Zone Starring Nintendo... So they're announcing it in a "Direct" fashion? Yeah, I can't not think of Mega Man here, especially given the recent Sonic exclusivity deal with Sega. Would definitely make sense. Guess I'm setting myself up for some disappointment, huh? You know, I wonder if Mega Man being in Smash Bros. has anything to do with it? Back when Melee came out it raised awareness of Fire Emblem by having Marth and Roy as playable characters, so maybe they put Mega Man in this one to test the waters and raise awareness among new players. I bet it's Pokemon related and has to do with the secret at the Pokemon game show. I'm hoping it's a street fighter with pokemon! @GuSilverFlame The most logical thing that could (and should) happen would be an exclusive MegaMan title. MegaMan taking part in smash caused much tremor among fans and even capcom shouldnt be so dumb to miss this opportunity to ride the hype wave. The best outcome would be a "bayonetta style" saving of MegaMan Legends 3, in that nintendo funds the project and secures exclusivity rights. Maybe even make it a WiiU game (or tackle both systems) But my hope for this to ever happen is slim to put it lightly. This is good news. Every bit of third party support that they can get is a plus. For the love of God, please make it either NxC or NvsC. Please. Or Mega Man, that'd be sweet. Just something major! I hope its a new Okami game. Okami-den didn't do it for me. Though I'd be glad with a new IP or something. Hmmmmmm the possibilities. I would love to see a new Mega Man game! It's been 4 years since Star Force 3 and 3 years since Mega Man 10. Unfortunately the probability of a new Mega Man game is slim, however I'm interested in the collaboration regardless if it's Mega Man or not. "All future Monster Hunter games coming exclusively to Nintendo hardware 'til the end of time... Forever!" If Nintendo wants to move a ton of Wii Us, all they need to do is have Capcom release a new Mega Man game exclusively for the Wii U.
Mega Man U = TONS of Wii U sales! I have absolutely no idea, if it relates to Monster Hunter. Maybe Nintendo helping Capcom localize MH3 to NA???? (Please) Other than that, maybe some kind of deal where they help publish other games, such as Mega Man, etc. One can only hope! I'm looking forward to hunt some Bowsers in Monster Hunter and make a armor out of his materials! Fyi they didnt say anything about a new game, this article is misleading. You guys really shouldn't hope for a new game... It's MH4 related. Listen to me boy, we MegaMan fans have been beaten down for year/s. We've been given $99.99 statues made of resin instead of $40.00 games made of awesomeness. We were promised MegaMan and we were let down. We've recently heard of a FPS MegaMan that was scrapped. We've waited, and waited. We will believe whatever the **** we want. Because we've stood the test of time. I predict a..... Hmm... I don't really know, maybe a StreetPass feature? IDK. @WinterWarm Oh don't hey me wrong bro... I was waiting for the last Mega Man from Inafune... But we all know what happen and couldn't see his last work with the blue hero. It's just that this collaboration isn't what we are waiting for. MH4 Wii U,Resident Evil. PLEASE GOD!!!!!!!!!! MH4 Wii U... this needs to happen! 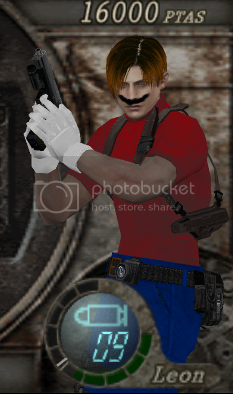 Please, nothing along the lines of silly costumes in games. Tekken, Rayman, it was fun but it's run it's course. Please, please let this be something of quality like a brand new, unique game, either Monster Hunter or Mega Man. Not an old game with new numbers and letters slapped on the title. A new, quality experience, and PLEASE put it on your system that desperately needs it- The Wii U! Give the public reasons to need this system when they already have a 3ds or Sony/Microsoft machine! Dragon's Dogma port without an awful frame rate? Please? @Pixel-Perfect That's what I was thinking! Hahahaha That would be super awesome. To all those saying a Mega Man exclusive game....forget about it. That would be suicide for Capcom to release an exclusive "Mega Man" game, and not release it to the other platforms. Mega Man is thee most requested game in history for another reiteration. I can only imagine the backlash for keeping it exclusive to Nintendo. Then again, Mega Man started with Nintendo. Still I doubt it's a new Mega Man game. I won't get my hopes up. Breath Of Fire, another exclusive fighter from Capcom, or any other IP would be awesome. Most likely its Monster Hunter 4 Ultimate for Wii U. Although I would prefer something unrelated to Monster Hunter, it's not that likely. Maybe Nintendo will let Retro Studios lose on one of Capcom Mega franchises and see if it can give it the Metroid Prime treatment? Yawn. sorry i just woke up. I hope it's a new game or a port of Dragon's Dogma with the expansion included, that game always looked rad but i could not play it on PC because Capcom is random. If it's a MegaMan i already know it will be only a timed exclusive. Anyway we know now that we will have a new Nintendo Direct soon. Monster Hunter Frontier 2 for Wii U ????!?!?!?!? Probably MH related so I'm guessing that Nintendo bought the NA and EU MH publishing rights and a Wii U port of MH4 is in the works. A new Nintendo Mega Man exclusive please. I would actually like to see a Nintendo/Capcom RPG, but neither Nintendo or Capcom seem to be too interested in making RPGs. It's already coming to WiiU. The question is location. Sorry, got a little overboard. LoL. I predict Monster Hunter 4 in the West with infrastructure. Mega Man Legends 3 for Wii U (not. But that'd be awesome). Forever wishing for Capcom/Nintendo/Platinum Okami sequel. The only thing I'd beg from Capcom at the moment is Mega Man. Wii U, 3DS, I don't care. Just make one and I'll buy it. Carry on Capcom, carry on. I like to have my cake and eat it too. Def hoping for some MonHun localization AND a new Megaman announcement for the 3DS. I feel that he would best fit the handheld model ala MM Zero and all his old school goodness in MM and MMX. @1337man1233 Oh, wow. Cool. I used to watch those guys pretty often, I must have missed those episodes.. I'm going to have to check it out. I have some fun memories with that game. Thanks for telling me.